The store owners create day-to-day deals for single or multiple products on your websites easily and quickly . 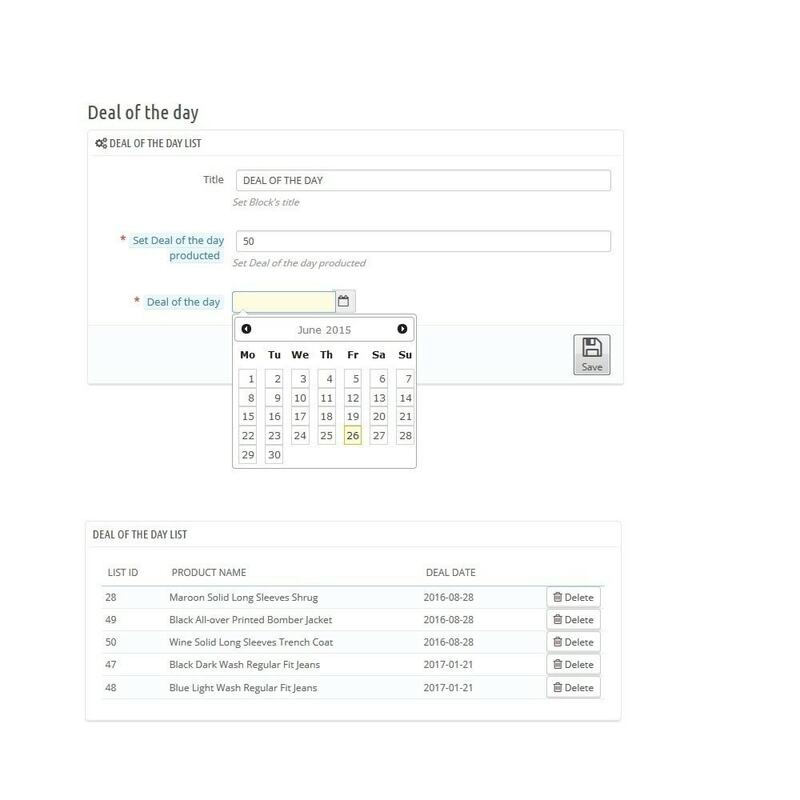 This daily deals modules allows you to create a daily deal for any product and display it anywhere on the site with a countdown! 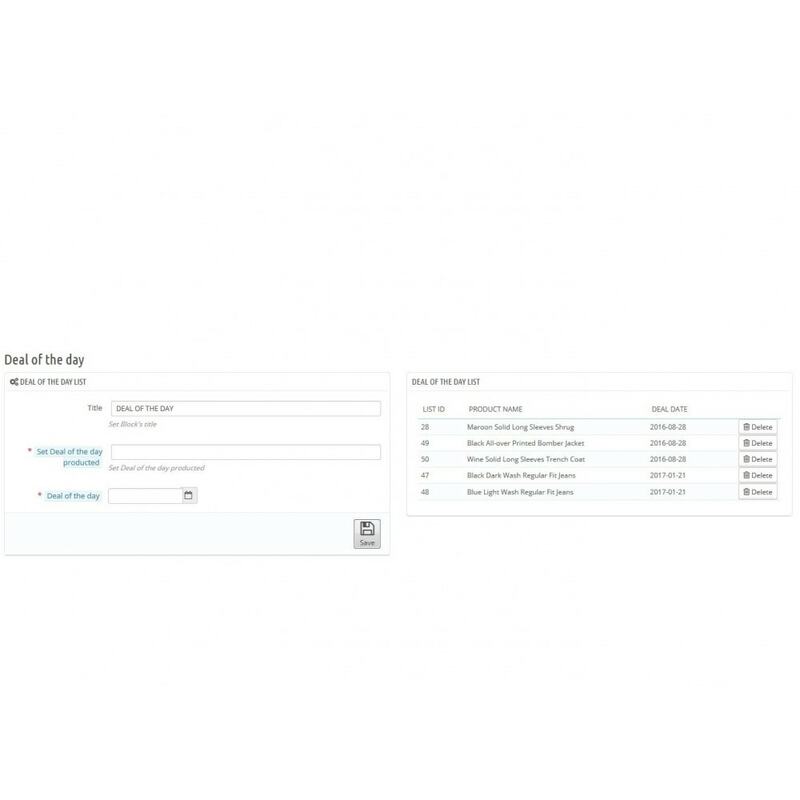 Easily create multiple daily deals from your products. Allows customers to see today, coming and previous deals. Countdown timer gives customer a visual look at deal available times. Select start date and end date for each deal. Deals status is automatically changed based on the deal’s running time. With an eye catching flash countdown, the Daily Deal module integrates your Prestashop store with a Limited Time Deal feature, motivating your customers to buy more. 4. Click "Install" for the module.